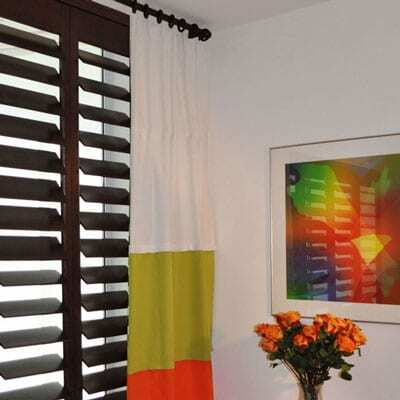 This affordable and flexible drapery panel system allows you to completely create your own unique look. 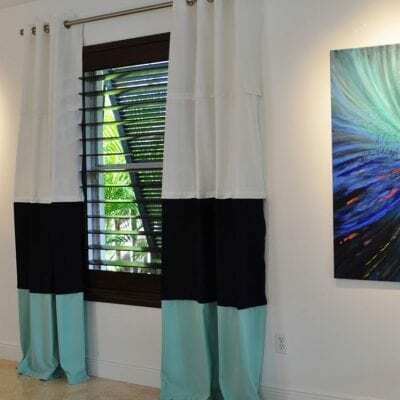 Our adjustable length curtains are made of 100% acrylic fabric that is sun and water resistant making them suitable for indoor window treatments or outdoor patio curtains. 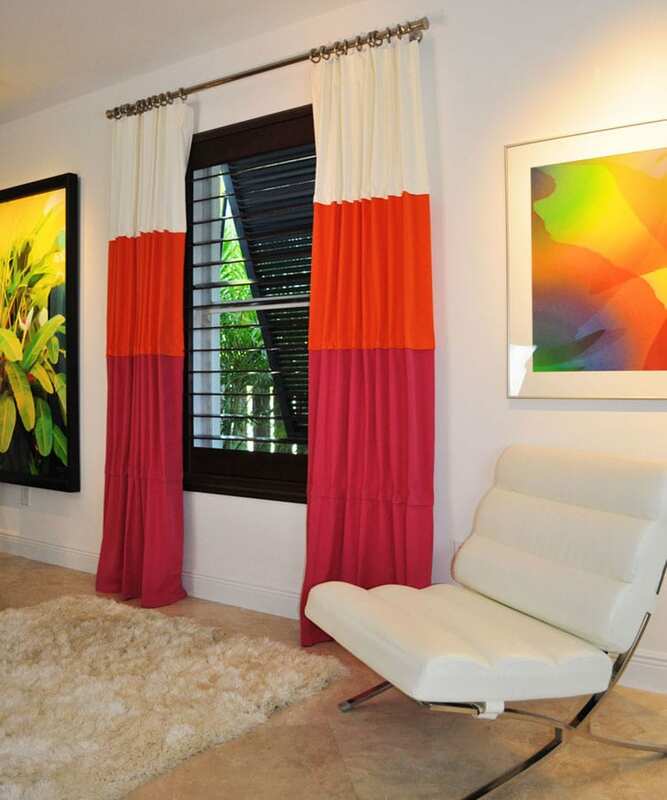 These ready made drapes are constructed by connecting 50” wide x 24” long panels with flexible nylon zippers that are concealed with a flange creating a contemporary feel. 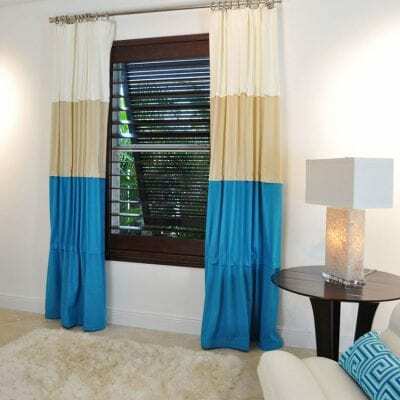 With easy assembly, you can customize the length of your drapes as well as the look. With the 4 different header options and interchangeable panels, you can create many different looks. 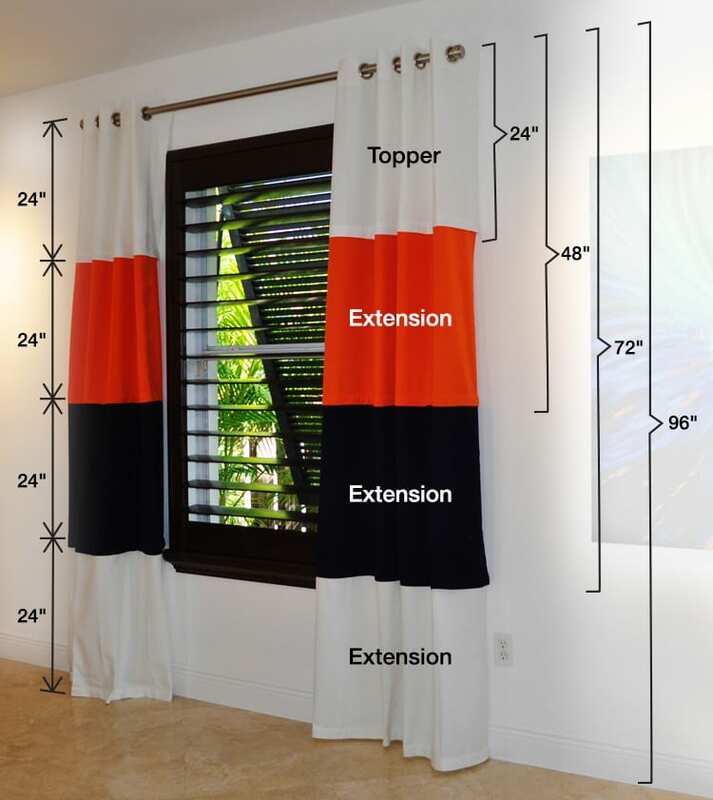 Determine the finished length of your drapery panel in multiples of 24” L. This will determine the number of Extension panels you will need to complete the design. Make sure to include the 24" of your Topper in the overall length. To get the look featured in this demonstration image, you would need a Grommet Topper in White (1 pack), Orange Extension (1 pack), Navy Extension (1 pack), and White Extension (1 pack). Overall length is 96″. 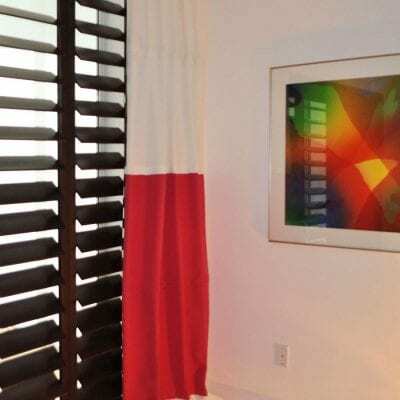 Topper Panels are 50” W x 24” L and available in White or Cream. Available in two (2) styles, Pocket or Grommet. 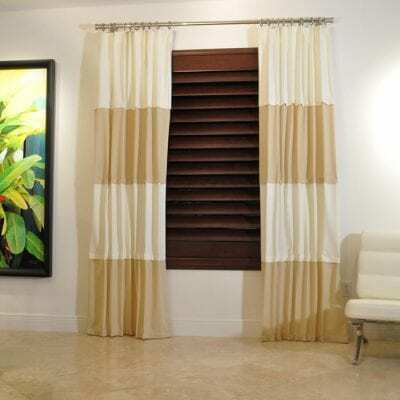 Extension Panels are 50” W x 24” L and available in 12 colors. 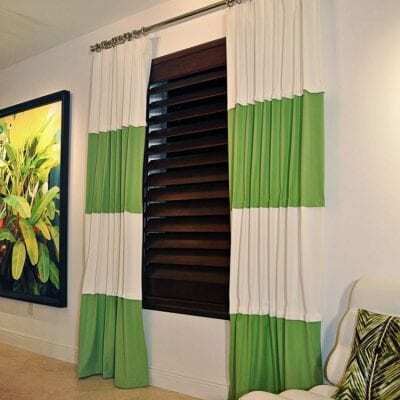 Choose the number of Extensions to complete the length of your drapery panel. Mix and match the colors of Extension Panels to create a unique look.